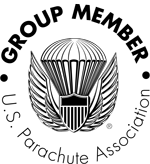 Skydiving near me: get in touch with us by phone, email or just stop by. Open for jumping every weekend and some weekdays in April! Thank you! We will get back to you within a couple hours!